Welcome to our Sale-a-Bration International Blog Hop! You may have arrived from the incredibly talented Monica Gale or could be starting here. Either way there is a blog hop list below so that you can make your way around the 12 blogs filled with ideas for Sale-a-Bration 2016. I LOVE Sale-a-bration! 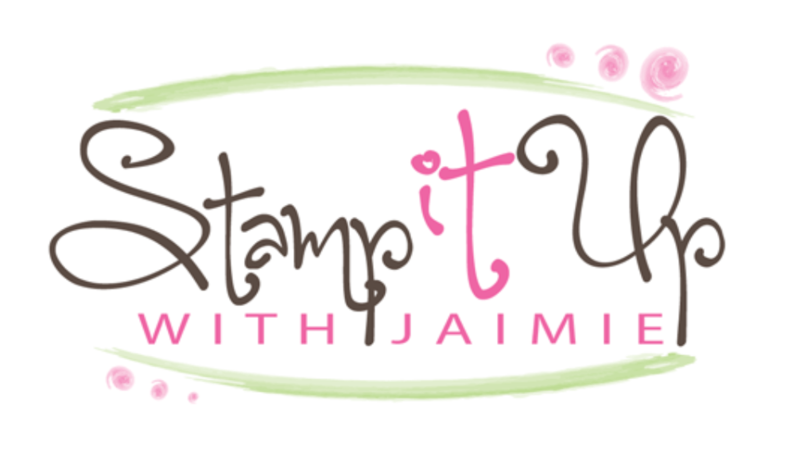 It’s that amazing time of year when you get free things from Stampin’ Up! for purchasing your favorite stamping supplies! 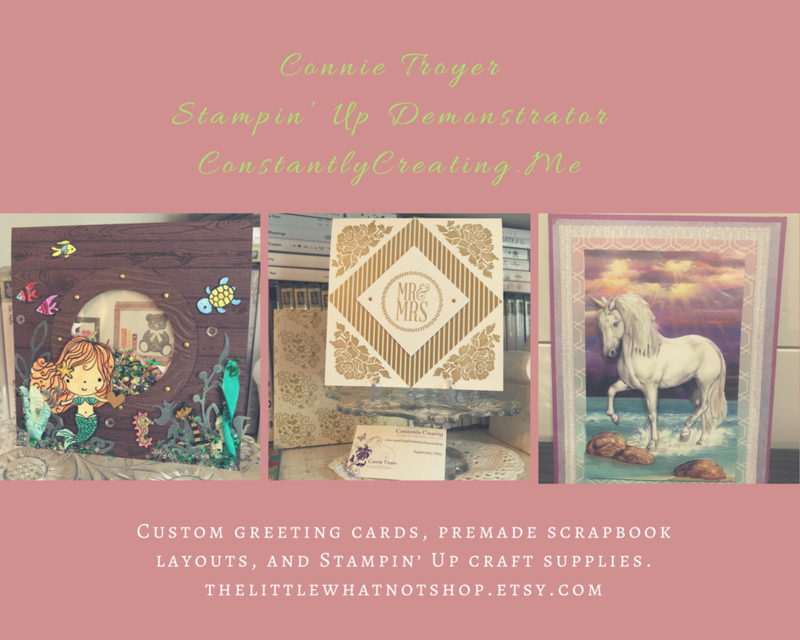 Here is my card using two of the Sale-a-bration exclusive products, the Hello stamp set and the Memories in the Making Project Life Specialty Card Collection. My card design was inspired by Hand Stamped Sentiments #230. And the colors for my card were inspired by Pals Paper Arts #285. I started by trimming down one of the Memories in the Making Project Life Specialty Card Collection cards (Sale-a-bration item) and then sponging it with Pink Pirouette ink. I adhered the card to a panel of Whisper White card stock with SNAIL, then to a Watermelon Wonder card base with Stampin’ Dimensionals. I adhered two strips of the 2015–2017 In Color Designer Washi Tape (Host Exclusive item) to a panel of Whisper White card stock. I punched both ends with the Hexagon punch and adhered it to the card front with SNAIL. I stamped the hello sentiment from the Hello stamp set (Sale-a-bration item, only available until Feb 15) in VersaMark Ink on a panel of Watercolor Wonder card stock, sprinkled it with White Stampin’ Emboss Powder and heat embossed it. I stamped the My Friend sentiment from the Hello stamp set in Tip Top Taupe ink under the hello sentiment, then adhered the stamped panel to a panel of Whisper White card stock with SNAIL and to the card front with Stampin’ Dimensionals. I sponged three of the wooden hearts from the Love Blossoms Embellishment Kit using Sponge Daubers with Pink Pirouette, Tip Top Taupe and Watermelon Wonder inks and adhered them to the card front with Glue Dots. I added a single Rhinestone Basic Jewel next to the sentiment to finish it. I stamped the line images from the Hello stamp set in Watermelon Wonder, Pink Pirouette and Tip Top Taupe inks across the bottom or a Whisper White panel inside the card. You can find a complete list of supplies, including card stock cuts at the very bottom of this post. Thank you for joining in on our blog hop today I am sure you will be inspired by these amazing and talented Stampin’ Up! Demonstrators from all over the world. Next up is Bruno Bertucci at Stampin’ Bruno. You will be heading over to Australia to visit Bruno! This entry was posted in For a Friend, For You, Quick and tagged Alpharetta, Alpharetta ga, Amy Koenders, Atlanta, Atlanta GA, card making, card making supplies, CAS, Demonstrator, Duluth GA, Georgia, hand made card, Hello, Johns Creek, johns creek ga, stamp with amy, stamp with amy k, Stampin Up, stampin up atlanta, stampin up blog, stampin' up amy, stampin' up demonstrator. Bookmark the permalink. Great card, Amy! I need to use this stamp set some more before it ends! Thank you for the inspiration! Wow Amy, you’ve had three challenges ! And still you were able to make a card, I love your card ! TFS ! Love your card Amy ! Such a beautiful card! Thank you for showing. The color combi is great! What a great idea to use the Project life card as your background! Lovely card Amy! I just love your simple and beautiful designs, Amy! Perfect use of those little wooden hearts, too! Thanks so much for sharing! So many things to love about this card Amy! The background, the sentiment, those sponged hearts – all so clever. Awesome. Love the design of this card. On a side note just wondering why you don’t post back order items. Thanks Lin! I stopped posting the backordered items when Stampin’ Up! updated the online store to indicate that items are on backorder. If you have any questions about the backorder list, feel free to drop me an email. I’m happy to send you an updated list. great layout on this card Amy and I love the color combo, bright and cheery and goes perfect together. I love how you used the Hello stamp for your focal point and the hearts. Great use of our sketch! Thanks for playing at Hand Stamped Sentiments. Awesome creation! I’m in love with that faceted background paper! Thanks for playing along with us at Hand Stamped Sentiments! Very cute card! I love that set but don’t have it. You have enabled me to put it on my wish list! Glad you joined us again at HSS!